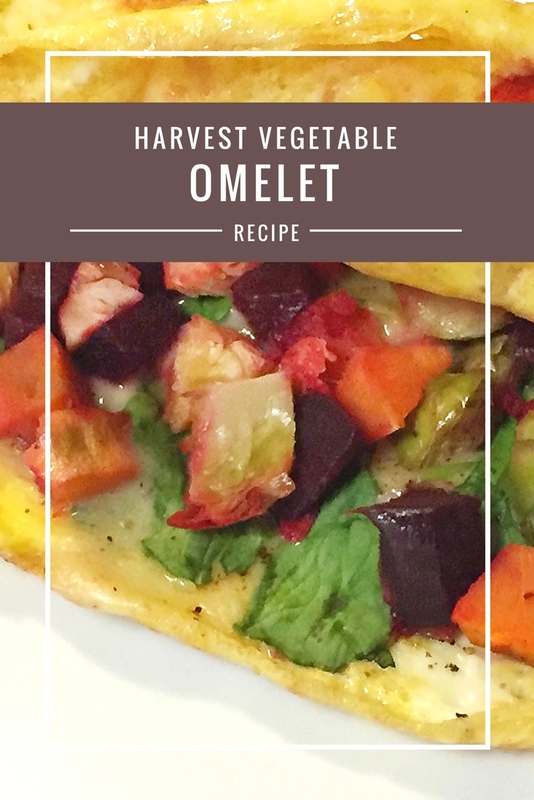 This fall harvest omelet is the perfect way to eat seasonal! 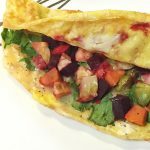 I love a loaded, cheesy omelet…. but it’s even better if you fill it with hearty ingredients that benefit your body with every bite! 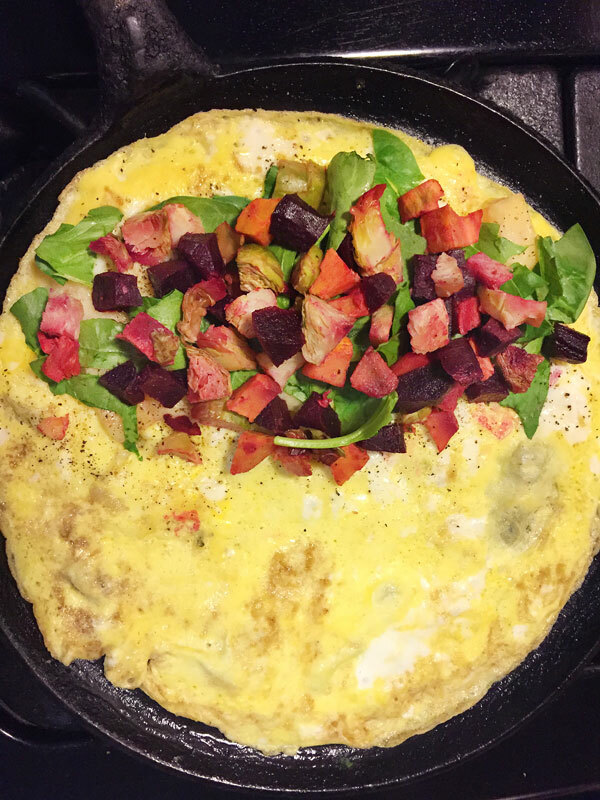 This skillet breakfast contains not only a ton of extra vitamins, but is an antioxidant, full of fiber and has anti-inflammatory powers. This helps you start your day delicious and nutritious! I used leftover vegetables from my Autumn Fruit and Veggie Kale Salad. 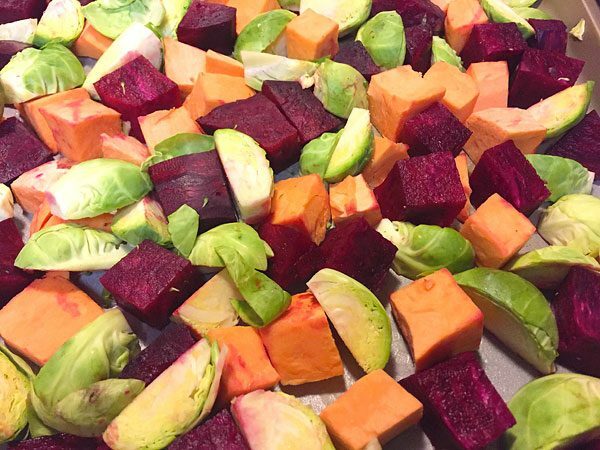 These consisted of roasted sweet potatoes, beets and brussels sprouts. I simply added some spinach and of course the cheese! I had kale in the salad but none was leftover to use for the omelet. Either green would work just fine though! Since I already had my veggies prepped from making the salad the day before you will need to chop and cook them first. You can do this on the skillet to save time, or roast them like I did. If roasting just coat with oil and put in oven at 400F for half an hour. For the skillet heat up some oil on medium-high heat and sauté for about 10-15 minutes. I would cover and stir occasionally. Take your eggs and crack them in to a bowl. Beat and then pour into a skillet with some heated oil. The eggs should fill the skillet completely, so make sure you use the right size. The ends will cook first so use a spatula to pick up areas to check and make sure the eggs are cooked through. When no longer runny, place the veggies on one side and add in the handful of spinach. Top with the cheese and then fold the other half over. You can flip if desired and then serve immediately! 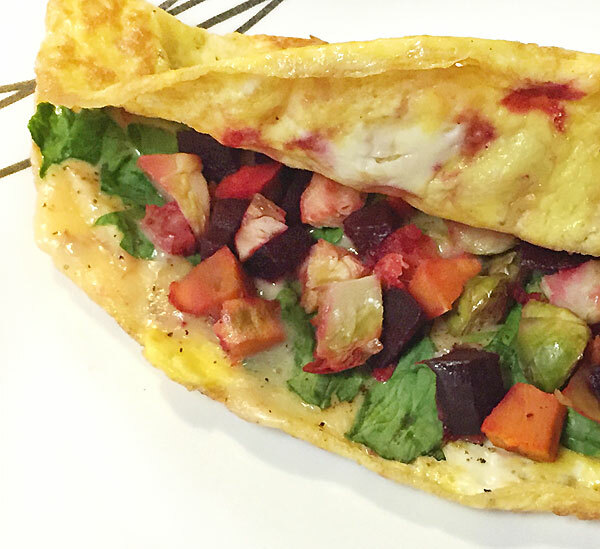 Omelet filled with gouda cheese and fall vegetables. Chop your veggies, coat with oil and sauté for 10-15 minutes on medium high heat in skillet. Set aside. Spray oil in skillet and pour in beaten eggs. Add a dash of salt and pepper. Pick up the edges as they cook so there is no liquid left. When the egg is ready place the veggies on one side and add in the handful of spinach. Top with the cheese and then fold the other half over. You can flip if desired and then serve immediately! 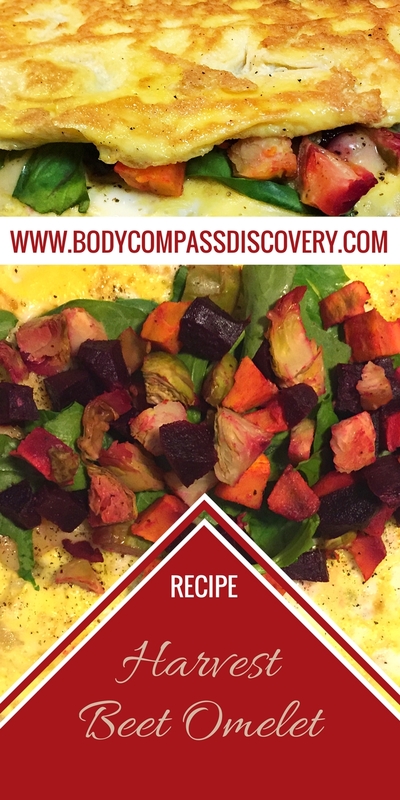 If your veggies are already prepped then this recipe takes only 5 minutes to cook and the prep time would only be heating your filling up separately. I love recipes you can make in 30 minutes or less! Good food should be simple. Meals like this are also a great way to give you an idea on how to use up leftovers creatively!